Here's all you need to know about Delta's baggage fees and policies so you can travel smart and maybe save a little dough. 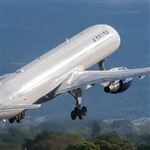 Like every other airline, Delta has developed their own unique policies to determine baggage fees. We'll cover all of Delta's policies so you know exactly what to expect when traveling. For most passengers, the checked bag charges are $30 for the first bag and $40 for the second, per leg of the trip. The exact amount can vary depending on the destination and the class of your ticket. Each passenger is also allowed one carry-on and one personal item for free. Infants and children under the age of two traveling for free do not receive any baggage allowances. You can check-in and pay for your checked bags 24 hours before departure time on the Delta website or through the Delta app. Check-in is also available at the airport through the ticket counter and self-serve kiosks, where you can pay for any baggage fees as well. Fortunately, Delta doesn't nickel and dime for carry-on bags and still allows all passengers one free carry-on and one free personal item. Each carry-on and personal item must fit in either the overhead bin or under the seat in front of you. The maximum size for a carry-on is 45 linear inches (22" x 14" x 9"). Personal items include smaller bags like a purse, briefcase, camera bag, diaper bag or laptop computer bag. On Delta Connection flights, each passenger is only allowed one personal item - carry-on bags are gate-checked for free. Any gate-checked bags are available for pickup right as you get off the plane. Gold Delta SkyMiles offers 30,000 bonus miles if you spend $1,000 on purchases within the first 3 months of opening your new account. In addition, you can earn a $50 statement credit after you make a Delta purchase within your first 3 months. This card earns airline miles: 2 miles for every dollar spent on eligible purchases made directly with Delta. Earn 1 mile for every eligible dollar you spend on purchases. There is a $95 annual fee ($0 introductory annual fee for the first year) (See Rates & Fees). If you fly Delta, here's what you should know: you can check your first bag free on Delta flights with this card - that is a savings of up to $240 per round trip for a family of 4. Plus, you can enjoy Main Cabin 1 Priority Boarding. Terms apply. Platinum Delta AMEX offers 35,000 bonus miles and 5,000 MQMs after you make $1,000 in purchases on your new card within the first 3 months. In addition, earn a $100 statement credit after you make a Delta purchase within your first 3 months. This card earns airline miles: 2 miles per dollar spent on purchases made directly with Delta and 1 mile for every eligible dollar spent on other purchases. There is a $195 annual fee. Delta Reserve offers 40,000 bonus miles and 10,000 MQMs after you make $3,000 in purchases on your new card within the first 3 months. This card earns airline miles: 2 miles per dollar spent on purchases made directly with Delta and 1 mile for every eligible dollar spent on other purchases. There is a $450 annual fee. If you fly Delta, here's what you should know: you can enter Delta Sky Club at no cost and bring up to two guests for an exclusive rate of $29 per person per visit. You can check your first bag free on Delta flights with this card - that is a savings of up to $240 per round trip for a family of 4. Plus, you can enjoy Main Cabin 1 Priority Boarding. Terms apply. Platinum Delta AMEX Business offers 35,000 bonus miles and 5,000 MQMs after you make $1,000 in purchases on your new card within the first 3 months. In addition, you can earn a $100 statement credit after you make a Delta purchase within your first 3 months. 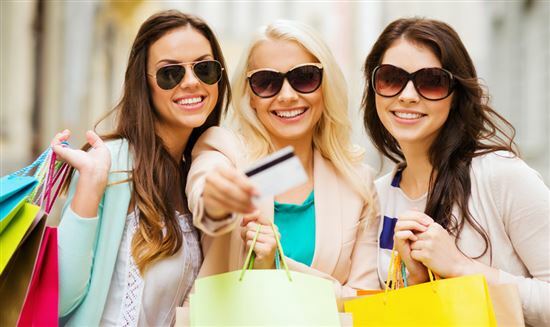 This card earns airline miles: 2 miles per dollar spent on purchases made directly with Delta and 1 mile for every eligible dollar spent on other purchases. There are no foreign transaction fees (See Rates & Fees). There is a $195 annual fee (See Rates & Fees). If you fly Delta, here's what you should know: you can check your first bag free on every Delta flight with this card - that is a savings of up to $50 per round trip. Plus, you can enjoy Main Cabin 1 Priority Boarding and 20% savings on eligible in-flight purchases (in the form of a statement credit). Terms apply. Delta Reserve Business offers 40,000 bonus miles and 10,000 MQMs after you make $3,000 in purchases on your new card within the first 3 months. You can earn 15,000 Medallion® Qualification Miles (MQMs) and 15,000 bonus miles after you reach $30,000 in eligible purchases on your Card in the calendar year. This card earns airline miles: 2 miles per dollar spent on eligible purchases made directly with Delta and 1 mile on every eligible dollar spent on other purchases. You can enter Delta Sky Club at no cost. There are no foreign transaction fees (See Rates & Fees). There is a $450 annual fee (See Rates & Fees). Terms apply. The first checked bag free benefit extends to up to eight travel companions on your reservation. All free bags must weigh under 50 pounds or they will be charged the overweight fee. Becoming a Delta SkyMiles Medallion member comes with all kinds of perks, including free baggage allowances. The first checked bag is always free for Medallion members and is good for up to eight travel companions flying on the same reservation. When traveling within the United States and Canada, Silver members get one free checked bag, Gold members get two free checked bags, and Platinum and Diamond members get three free checked bags. The weight of any free checked bag cannot exceed 70 pounds. For travel between the United States, Canada, Caribbean, Central America and South America, all Medallion members get two free checked bags, up to 50 pounds each. Medallion members flying to Australia, New Zealand, the Philippines and Brazil receive three free checked bags. For international flights that already offer free checked bags, Medallion members receive an additional free checked bag. Be a member of the U.S. military: Military personnel are given up to five free bags, weighing up to 100 pounds each and no larger than 80" when traveling on military orders. When traveling for personal reasons, they are allowed two free bags up to 50 pounds each when in Basic Economy, Main Cabin and Delta Comfort +. Delta gives them three free bags up to 70 pounds each when traveling in First Class, Delta Premium Select and Delta One. Choose an exempt destination: When flying to certain destinations, Delta offers free checked bags or reduced fees on checked bags. Travel with just a carry-on and personal item: Because Delta does not charge for carry-on bags and personal items, if you can pack light, you can save hundreds of dollars in baggage fees. If you choose this option, keep in mind the maximum size for a carry-on, otherwise you'll be forced to gate-check your bag and still pay the baggage fee. Book a higher class ticket: Delta Premium Select customers receive two free checked bags weighing up to 50 pounds each. Delta First Class, Premium Select and Delta One passengers receive two free checked bags up to 70 pounds each for every destination. Additionally, these passengers receive Sky Priority status, which includes expeditated baggage services. Sky Priority customer's bags are always the first ones out on the carousel in baggage claim. Measure your bags ahead of time: All Delta ticket counters and gates have bag measurement sizers so you can check the size of your bag. This is will save you from oversized fees for having a bag that's too big. You can also weigh and measure your bags at home with a luggage scale or your home scale. Take advantage of packing tips and tricks: Rolling up clothing, using vacuum-sealed bags and wearing as much as you can on the plane can save you space in your luggage. When planning your outfits, choose versatile pieces that you can mix and match, limiting the number of items you need to pack. Purchase a lightweight suitcase: Buying a new lightweight suitcase can help cut down on the chance of being overweight and paying the extra fees. Many new suitcases also have flexible storage spaces that allow you to pack more efficiently. Ship your luggage: Consider sending your luggage ahead of you through FedEx, UPS or the United States Postal Service. Numerous companies, such as LugLess and Luggage Forward, specialize in shipping luggage, with fees varying depending on size, weight, distance and how soon you need it to arrive. Condense luggage: Families traveling together can avoid luggage fees for each person by condensing all their belongings into just one or two bags. Since car seats fly for free, purchase a car seat bag and fill it with the car seat as well as other belongings, saving you some room in your suitcase. Just like your carry-on luggage must meet maximum size requirements, checked bags also have size and weight maximums. Delta considers any bag heavier than 50 pounds as overweight and any bag larger than 62 inches (total height, weight and length) is oversized. You may not travel with any bag heavier than 100 pounds or larger than 80 inches. Each passenger is allowed up to 10 checked bags for Delta and Delta Shuttle flights and four checked bags on Delta Connection flights. Each bag can have multiple fees. For example, if your 11th bag is both oversized and overweight, you'll have to pay all three fees - excess, oversized and overweight. Overweight baggage fees are $100 for 51 to 70 pounds and $200 for 71 to 100 pounds. Exceptions include travel between North/South/Central America and Europe and New Zealand and Australia, where no bag over 70 pounds is allowed. The excess bag fees are $150 for the third bag and $200 each for bags 4-10 when traveling within the United States and Canada and from the U.S. and Canada to the Caribbean and Central America. When traveling from the U.S. or Canada to Mexico, it's $180 for the third bag and $200 for bags 4-10. Travel within and between Mexico, Central America and the Caribbean is $125 for the third bag and $200 for bags 4-10. Traveling between North/South/Central America, Europe and North Africa comes with a flat $285 per bag fee for bags 3-10, while traveling to/from/within Asia is $200 a bag. During peak travel periods, Delta has to limit the amount and weight of baggage it transports when traveling to certain destinations. The exact dates of seasonal embargos vary from year to year and some countries impose year-round luggage embargos. San Salvador, El Salvador: When departing from Atlanta, Georgia. 2 checked bags from December 1 to January 15. 2 checked bags from December 15 to January 15. 2 checked bags from June 3 to August 31 and November 16 to January 16. 2 checked bags from June 3 to August 31. Boxes are not allowed on any flights to or from Brazil, Chile or Mexico and only allowed on flights to Central and South America if they're an original, factory-sealed box. Not everything you want to bring on a flight will always fit neatly in your luggage. Sometimes, it's necessary to transport unusual, bulky or fragile items. In these cases, Delta has special rules regarding special items brought as your checked or carry-on luggage. Alcohol: Allowed in checked bags; if purchased after the security checkpoint, is allowed on board as long as it's less than 140 proof, less than 5 liters and in the original container. Baby and kids' items: Strollers and car seats do not count toward your checked or carry-on baggage limits. You can check them curbside, at a Delta ticket counter, or when you get to the gate. Christmas trees: During the most wonderful time of the year, Delta does allow Christmas trees as part of your checked luggage. They must be packaged securely in a burlap-type material with all the branches wrapped up. Computers: Not allowed in checked baggage but you can bring it on board as a personal item. Cremated remains: Allowed as a carry-on or checked bag with a valid death or cremation certificate. Remains brought onboard as a carry-on must go through the security x-ray machines, so do not transport in a metal container. TSA agents cannot open remains containers, so if it can't pass through the x-ray or metal detectors, it can't fly with you. Dry ice: Permitted when used to cool perishable items; must be less than 5.5 pounds and the cooler should be labeled with the words "Dry Ice," the net weight and contents. E-cigarettes: Can be brought on board in a carry-on but you may not use or recharge them at any time during the flight. Firearms: You must declare you're checking a firearm when checking in with a ticketing representative. It must be unloaded and packed in a locked manufacturer's hard-sided case or box. Any ammunition must be in the original manufacturer's box and you'll have to show ID when picking up your firearms and ammunition at baggage claim. Lithium batteries: Can bring spare lithium batteries for electronics as long as they're properly packaged to prevent short-circuiting. Medical supplies and equipment: A self-contained breathing apparatus is allowed as a checked bag, as long as it doesn't exceed 150 pounds. You can bring needles and syringes on board the plane when they're accompanied by medication with a professionally printed label. You can also bring along crutches, braces and other prosthetic devices. Perishables: Allowed as a carry-on or checked bag, including fresh or frozen foods, fruits, and vegetables; meats, fish, poultry, or bakery products; and flowers of varying sorts including cut flowers, floral displays, and vegetable plants. Smart luggage: You can bring smart luggage as a carry-on or checked bag as long as you can remove the battery. Wheelchairs: Personal wheelchairs - including folding, collapsible, non-folding manual and electric/battery-powered wheelchairs and electric-powered carts and scooters - do not count toward your carry-on or checked bag limits. Each aircraft only has room for one collapsible wheelchair, but Delta gate-checks any additional wheelchairs. If you check your wheelchair at the ticket counter, Delta offers loaner wheelchairs to use in the airport. Electric wheelchairs must have the batteries properly covered and protected so they don't accidentally engage during the flight. From professional athletes to wannabe rookies, many passengers travel with their sporting equipment and want to make sure it arrives safely and in one piece. Delta has special rules when traveling with sporting equipment. Standard baggage fees apply except where noted. Antlers: $150 fee when traveling to all regions; must be wrapped up with points protected and cannot weigh more than 100 pounds. Archery: Allowed as checked luggage only; must be packed in durable container. Bicycles: $150 fee when traveling to all regions and only non-motorized or single seat bikes allowed; oversized and overweight fees apply if over those maximums. Boogie/Skim Boards: Must be packaged in bag or case that protects the board. Canoes/Kayaks: Only folding kayaks allowed; $150 per folding kayak and oversized and overweight fees apply if over those maximums. Fishing Poles: Allowed as checked and carry-on as long as they don't exceed the maximum sizes. Golf Bag: One golf bag allowed per passenger as checked luggage. Hockey/Lacrosse: Allowed as checked bag only; oversized and overweight fees apply if over those maximums. Javelins: Allowed as checked bag only except through Dublin or Amsterdam; cannot exceed 120 inches, oversize fees apply to javelins over 80 inches. Kneeboards/Wakeboards: Must be packaged in appropriate case to protect the boards. Parachutes: Only sports parachutes allowed; must be brought as a carry-on. Scuba: $150 fee when traveling to all regions; scuba tank must be empty and all gear must travel as checked baggage. Skateboards: Allowed as both carry-on or checked luggage. Ski and Snowboard Equipment: One ski/pole bag or one board and one boot bag per passenger. Surfboard: $150 fee per bag when traveling to all regions; can pack two surfboards in one bag. Vaulting Poles: Allowed as checked baggage only; oversized and overweight fees apply if over those maximums. Windsurfing Boards: $150 fee per bag when traveling to all regions; oversized and overweight fees apply if over those maximums. The same holds true for musical instruments - musicians often travel with their instruments and want to make sure they travel securely. Depending on its size and shape, musical instruments can travel as a carry-on, checked bag or cabin seat baggage. Regardless of which travel method you choose, ensure that your instrument is extra protected by packing it in a hard-sided case. Checked musical instruments cannot be larger than 150 linear inches or weigh more than 165 pounds. Carry-on instruments must fit in the overhead bin or under the seat in front of you - these do not count toward your one carry-on limit. If the plane is extra full, your musical instrument may be gate-checked and returned to you immediately after the flight. Delta has passengers sign a Limited Liability Release form when traveling with bulky, extra-large or fragile items like sports equipment and musical instruments. When an item is too large or too fragile to fit into the overhead bin, you have the option of purchasing a cabin seat baggage ticket for that item. Cabin seat items travel in a seat next to the passenger. Cabin seat baggage cannot be heavier than 100 pounds, restrict the aisleway or any passenger's view of the plane's signage. The item must also be secured with a seatbelt and properly covered or packaged to protect it and the passengers. If your best friend is furry and happens to wear a collar, they're still welcome on any Delta flight. Depending on the size and breed of your pet, you can carry them on board with you or have them shipped via Delta's pet cargo program. Carry-on Pets: Delta permits passengers to bring on board small dogs, cats and household birds that fit in a kennel that goes under the seat in front of them. The pet kennel counts toward your carry-on and personal item limits and costs $125 when traveling within the U.S., Canada and Puerto Rico. The pet fee is $200 when traveling to the U.S. Virgin Islands and any international flights and $75 for flights to and from Brazil. Pet fees are per pet and per leg of the trip. Each pet brought as a carry-on must fit comfortably in the kennel, which can be hard or soft-sided and should be ventilated on at least two sides. Each aircraft has different maximum kennel sizes, so check with Delta before flying to ensure your kennel will fit on that particular aircraft. From the gate to the end of the flight, your pet must stay in the kennel. Pets must be at least 10 weeks old. A kennel can only hold one pet, except for nursing litters of cats or dogs or two pets who are the same breed and size that can fit comfortably together in the same kennel. Because carry-on pets are accepted on a first-come, first-serve basis, call Delta reservations as early as possible to assure your furry companion has a spot. Domestic business class and first class only allow two pets per flights, while there's room for four pets in the main cabin per flight. Pets can accompany you in the Delta Sky Club but must remain in their kennel except when using pet relief areas. Pets Flying with Delta Cargo: Animals that are too large for the cabin can fly via Delta Cargo, which takes extra care and precaution to make sure your pet arrives safely to your final destination. Shipping your pet via Delta Cargo requires a separate booking from your ticket, which you can't book until 14 days prior to the flight. On the day of your flight, drop off your pet at a Delta Cargo location at least three hours before departure. 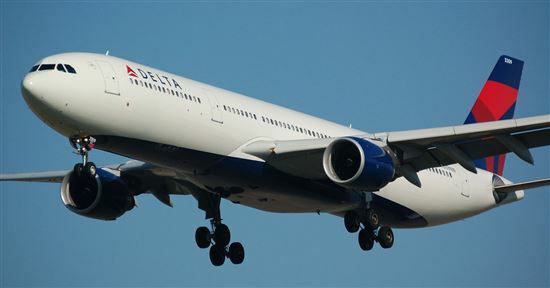 Delta does not transport when the temperature exceeds 85 degrees Fahrenheit or drops below 10 degrees Fahrenheit. All animals traveling through Delta Cargo need a health certificate dated within 10 days of departure. The health certificate must include the owner's name and address, tag numbers assigned to the animal, age of the animal, statement of good health, vaccination records and signature of the vet. All animals must be at least 10 weeks old and fully weaned. Owners should supply food and water for their pet. Delta offers in-transit feeding but cannot give medication of any kind. If the temperature at any part of your destination is above 80 degrees Fahrenheit or below 20 degrees Fahrenheit, the animal cannot travel as cargo. Delta does not guarantee that a pet will be shipped on the same flight as the customer. All of these policies are for domestic flights only; international pet shipments should go through an established shipping company. Delta provides a list of approved pet shippers on its website. Service and Support Animals: Passengers are allowed to bring service and support animals as long as they follow Delta's rules and regulations. A trained service animal can fly as long as the owner has a Veterinary Health Form or Immunization Record. Starting December 18, 2018 Delta will NOT allow service and support animals under 4 months old on any flight. Delta also requests that owners fill out the Trained Service Animal form and upload it on their My Trips page. Emotional Support and Psychiatric Service Animals: Owners must upload the required documentation at least 48 hours before takeoff. This documentation includes the Emotional Support Animal form, documentation from a certified mental health professional indicating the need for an emotional support animal, and certification of the animal's health, including rabies and DRB shot verification. Every support or service animal travels for free but must fit at the owner's feet or on their lap and may not block any aisleways or interfere with other passengers. They cannot bark excessively, eat off tray tables, jump on other passengers or engage in other disruptive behavior. Delta does not charge any additional baggage fees for a service or support animal or their kennel if traveling with one. Military Personnel Traveling with Pets: When it comes to traveling with pets, Delta makes exception for military personnel. Military members and their spouses traveling with active transfer orders can travel with their pets as checked luggage. The owner must book the pet at least 48 hours in advance and each person is allowed two animals. Military members pay $200 per pet each way to travel to any destination, except for Brazil, which is $150. Accepted animals include cats, dogs, household birds, guinea pigs, rabbits and hamsters. Delta does not transport snub-nosed or pug dogs or cats because of the chance of breathing issues in the cargo hold. Other types of animals - like reptiles and primates - must fly cargo. Your pet must fly in a USDA-approved shipping kennel, available for purchase at Delta Cargo locations and pet stores. The kennel must have the words "Live Animal" on the outside, upright arrows showing the top, one food and one water dish and bedding to absorb any accidents. Delta's number one goal is to get you to your final destination safely; the same holds true for your luggage. While Delta takes extra precaution to care for your luggage, accidents do happen, and luggage does get lost. Delayed Luggage: The sooner you file a delayed luggage report, the sooner Delta can work on locating your items. After you file a report, you'll get a reference number to track the status of your bags. Any bags that are delayed longer than 12 hours are eligible for a bag fee refund from Delta. You can get $30 back for one delayed bag and $50 for two delayed bags. The bag rebate is only good for bags you paid for and does not count toward oversized or overweight bags. To receive your rebate, fill out the Delayed Bag Rebate Form online. For the first five days that your bag is missing, you can file for $50 a day worth of expenses to replace everyday necessities that were in your bag. The expenses must be reasonable, and you must have receipts to prove you purchased the items in the days following your bag getting delayed. Delta is so committed to making sure every passenger receives their baggage that they offer a 20-minute guarantee for domestic flights. If your bag does not reach baggage claim within 20 minutes of your arrival time, Delta will give you 2,500 SkyMiles bonus miles. You can claim your miles at the Bags on Time website. Lost Items: Delta's Lost and Found Central sends an email after you file a report and if an item is found that matches the description of your missing item. They also send periodic email updates. When Delta locates your missing item, it will send you a link to a shipping website to pay for shipping charges to return the item to you. If your item isn't found within 14 days, you can file a claim for reimbursement. In the unfortunate instances when Delta cannot locate your bag, they offer up to $3,500 in loss for domestic flights. For international flights, it's $9.07 per pound up to $640 per bag, according to the Warsaw Convention. If your flight falls under the Montreal Convention, it's $1,131 per ticketed passenger. If you plan on traveling with belongings valued more than $3,500, you can purchase baggage protection. Delta's baggage protection is an additional $40 for a declared value of $3,501 to $4,000 and $50 for $4,001 to $5,000 for domestic flights. For international flights, you can pay $10 for every $1,000 of additional coverage up to $5,000. Preexisting damage like minor cuts, scratches and broken zippers. Loss, damage or delay because of security or TSA. Irreplaceable, fragile or monetary items like cash, camera equipment, electronics, jewelry, medication, documents and works of art. Damaged Bags: While Delta doesn't cover normal wear and tear, if your luggage is severely damaged during the fight, you can file a repair claim. Bring the damaged piece to the baggage claim office, where they'll evaluate the damage and submit your claim. Delta partners with Rynn's Luggage for all luggage repairs and you can track the status of your repair online. 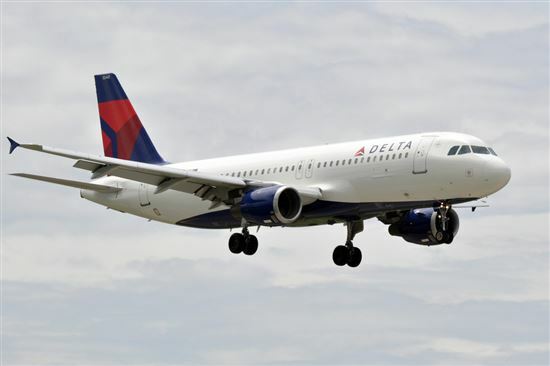 Traveling on Delta is similar to many other major airlines; they charge $30 for the first bag and $40 for the second bag and also impose excess, oversized and overweight baggage fees. It pays to be a Delta credit card holder or an elite member of the SkyMiles club, both which give free baggage allowances. Editorial Note: This content is not provided by American Express. Any opinions, analyses, reviews or recommendations expressed in this article are those of the author's alone, and have not been reviewed, approved or otherwise endorsed by American Express. This site may be compensated through the Advertiser's affiliate programs. For rates and fees of the Gold Delta SkyMiles card, please click here. For rates and fees of the Delta Reserve Business card, please click here. For rates and fees of the Platinum Delta AMEX Business card, please click here. 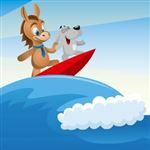 Disclaimer: The information for the Platinum Delta SkyMiles® Credit Card from American Express and Delta Reserve® Credit Card from American Express has been collected independently by CreditDonkey. The card details on this page have not been reviewed or provided by the card issuer. Don't overpay on travel. Sign up to get our FREE email course on miles and points. Leave a comment about Delta Baggage Fees? Who can use Delta Sky Club locations? Read this guide to learn how to get access to this group of premium airport lounges. You don't need to fly a lot to earn a TON of Delta SkyMiles. Read on for 10+ smart ways to earn Delta miles fast. Which Southwest Credit Card is Right for You? Fly Southwest? You may want to consider a Southwest credit card from Chase. But which one is right for you? We break it down. Fly Delta? A Delta credit card could give you special perks and earn miles faster. But which one is right for you? We break it down. Which JetBlue Credit Card is Right for You? Fly JetBlue? You may want to consider a JetBlue credit card from Barclaycard. But which one is right for you? We break it down. The Alaska Airlines Visa Signature credit card is an airline miles card with a nice annual perk: a single super-low cost companion fare from $121. Read on to see if the card is worth the $75 annual fee. Are you a frequent Frontier Airlines traveler? If so, you may have heard about the Frontier Airlines World MasterCard and may be wondering if it's a good way to earn free flights. Could you get even better deals on your Spirit Airlines flight by owning the Spirit Airlines World MasterCard? 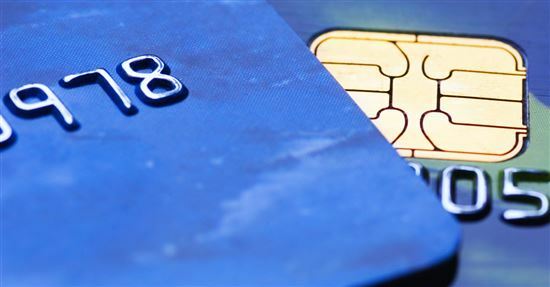 Read on to see if the card is worth the $59 annual fee. The Hawaiian Airlines credit card has an impressive set of benefits, including a yearly $100 discount on a companion fare, free 1st checked bag on Hawaiian Airlines flights, and 5,000 bonus miles each year you spend over $10,000 on the card. Read on to see if it is worth the $89 annual fee. Get free email course on airline miles and hotel points. Learn how to travel the world with points.